Based on research, talking to cats can help address depression and anxiety. It’s one of the reasons why concept cafes introduced having cats on their abode for customers to interact with the animals. Apart from the mentioned benefit of the customers, these cafes are also saving cat lives by setting up these cafes. Cutie cat in a cat cafe in Shinjuku. Photo from Flickr licensed under Creative Commons 2.0. In Japan, most apartments don’t allow residents to have a pet within their tiny spaces. This idea hit a Japanese tourist when visiting Taiwan and brought the concept back home. The first café was opened in 2004 in Osaka. 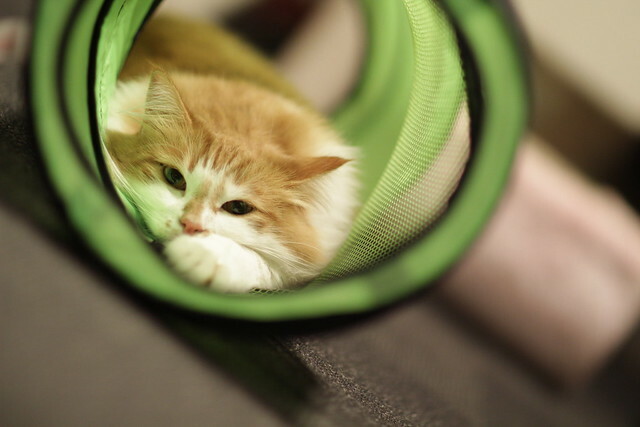 Pet lovers love the place because customers are allowed to play, touch, feed, or simply watch the cats. Everyone indeed can enjoy coffee and sweet treats while mingling with these fur balls. 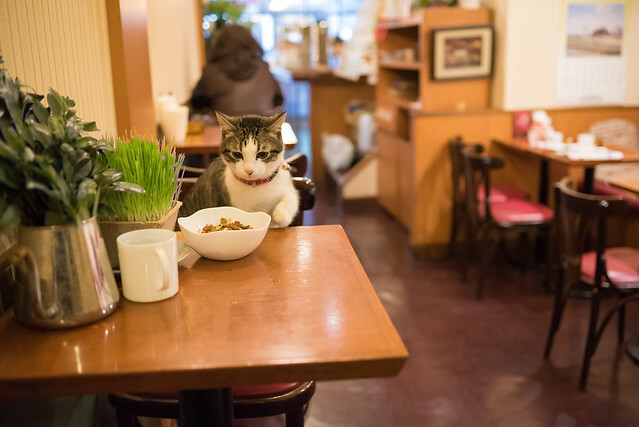 When it comes to cat cafés, Japan is probably the best country to visit one. From a cat island to the famous brand Hello Kitty, Japan is somehow a cat-obsessed country perfect for this type of activity. 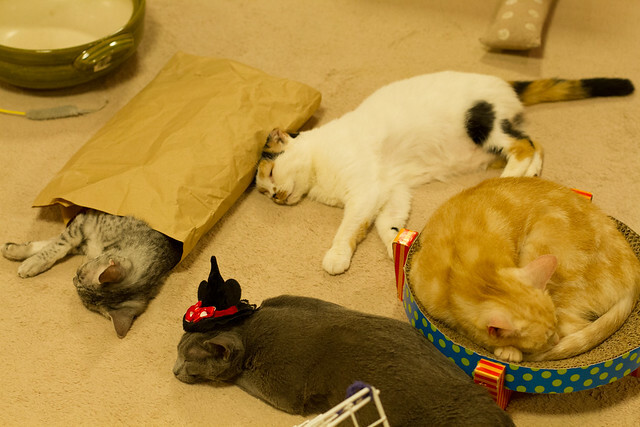 So, where can you find the coziest cat cafes in Japan? According to official information, Neko No Jikan was the first of this format in Japan. The café is open from 11 AM to 9 PM. In general, this cafe is perhaps not only the oldest one but also the most expensive: on weekdays, an hour + a free drink will cost you JPY1,100 and JPY1,300 during weekends. On the side note, the cat staff at Neko No Jikan is simply stunning: good-natured, sociable, playful and charming animals, photos of which you can easily find on the site. They wait for new friends and will be happy to play with everyone. The café’s website can be found at nekonojikan.com. Of course, the staff also need a rest. Photo from Flickr licensed under Creative Commons 2.0. 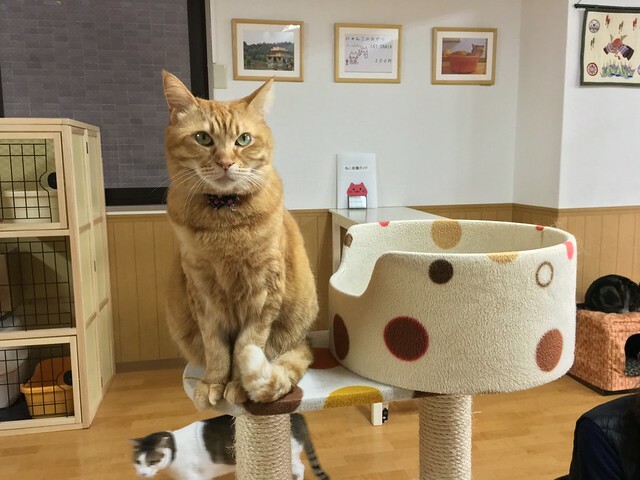 There are several cat cafes in the capital of Japan, and it is not surprising, given the rhythm of life and the size of the population. If you are looking for the most convenient place to visit one, then you should give Neko Café Club a try. Time to eat kitty! Photo from Flickr licensed under Creative Commons 2.0. Their website has an English version with information straightforward without the need for the Google translate. The café is relatively small but compensated by its coziness and thoroughly thought-out entourage. Inhabitants of the Neko Club are well-groomed, well-fed, and extremely sociable cats. The feline bastion of Kyoto is located on the island of Honshu, Tozai subway station. In Nekokaigi, you will find a relaxing, warm, fluffy and homely atmosphere. It is very easy to get to this islet of coziness because the cafe is located in the center of the city, at the intersection of the popular tourist routes of Kyoto. The strict rules are roughly the same as everywhere, you should wash hands, take off shoes, and feed cats only with delicacies that are provided by the cafe itself. Can you resist this cat staff in Nekokaigi? Photo from Flickr licensed under Creative Commons 2.0.